Deadman Wonderland: Framed For Murder and Stuck in a Bizarre Prison! Sometimes, you just can’t beat the press release. The tagline for VIZ Media’s Deadman Wonderland reads, ‘a student must fight to clear his name and catch a mass killer after being wrongfully sentenced to a carnival-like penitentiary where nothing is as it seems.’ If that doesn’t intrigue the heck outta you, you have no imagination whatsoever. As for me, I want it! 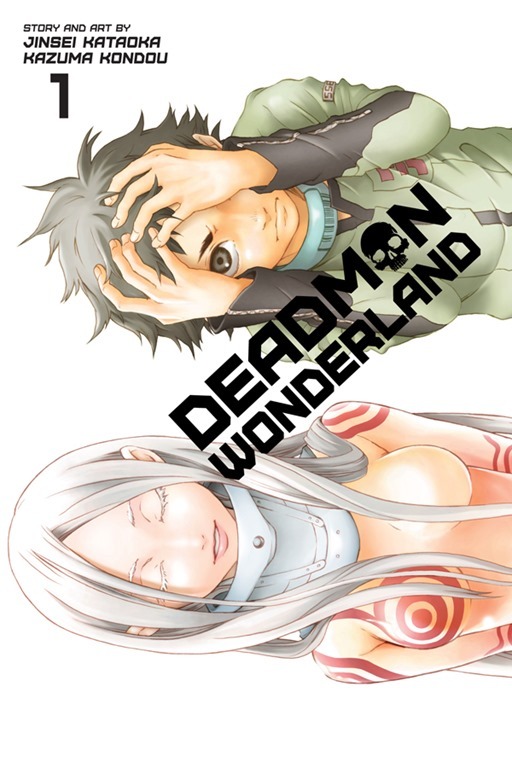 Volume 1 of Deadman Wonderland will debut in print and digital on February 11th. Check out the press release, after the jump, for more details. San Francisco, CA, January 29, 2014 – VIZ Media, LLC (VIZ Media), the largest distributor and licensor of manga and anime in North America, unleashes a gritty manga (graphic novel) story of survival with the print and digital debut of DEADMAN WONDERLAND on February 11th. Volume 1, featuring story and artwork by Jinsei Kataoka and Kazuma Kondou, is rated ‘T+’ for Older Teens and will carry a print MSRP of $9.99 U.S. / $12.99 CAN. A digital version will also launch for $6.99 (USD/CAN) on February 11th on VIZManga.com and through the VIZ MANGA App for the Apple iPad®, iPhone® and iPod® touch, Android-powered smart phones, as well as through the Nook, Kobo, Kindle, iBooks and GooglePlay stores. VIZ Media will publish Volume 2 of DEADMAN WONDERLAND in April with additional editions of the 13-volume series scheduled to be released bi-monthly. Framed for the brutal murders of his classmates by the mysterious Red Man, middle school student Ganta Igarashi finds himself sentenced to death and sent to a bizarre and fatal theme park/prison that has risen from the ruins of the Great Tokyo Earthquake – a hell on earth known as “Deadman Wonderland.” The inmates of this insane penitentiary fight for survival every day to provide entertainment for the masses, and terrifying secrets lurk in the shadows. Ganta is determined to survive Deadman Wonderland and clear his name, but the price may be his soul. For more information on DEADMAN WONDERLAND, or other manga titles from VIZ Media, please visit www.VIZ.com. Previous PostBones Renewed For 10th Season! Moves Back To Mondays!Next PostSuper Bowl Spot: Noah!